Though White Phosphorus was banned as a UK rat poison in 1963, its use by industrial companies like Albright and Wilson and Rhodia was not. Being highly toxic by ingestion the lethal adult human dose is between 50 and 100mg, which is equivalent to between 10 to 20 granules of white sugar or table salt. This is undoubtedly a “small amount”. In the hundreds of thousands of tonnes of waste dumped into Rattlechain lagoon by Albright and Wilson and Rhodia, they have admitted both verbally and in writing that there are several tonnes of white phosphorus. 1 tonne = 1000kg = 10,000 lethal (100mg) doses (10,000 Adults) PER TONNE. Or 20,000 lethal 50mg doses (Say 20,000 children?) PER TONNE. Rhodia (current owners of Rattlechain Lagoon) seem to be trying to mislead about this quantity by presenting the white phosphorus figure as a percentage of the overall waste. Several tonnes of this lethal chemical are not “a small amount”. And you only need to swallow the equivalent of a few tens of grains of sugar to ingest lethal amounts of this substance. Different birds can feed at different depths. Swans are mainly vegetarian but will eat small insects, larvae and various aquatic vegetation, all which are plentiful on still pools such as at Rattlechain. All waterfowl have a modified stomach structure known as a proventriculus and gizzard. The gizzard has a thick wall with tough internal grinding pads. 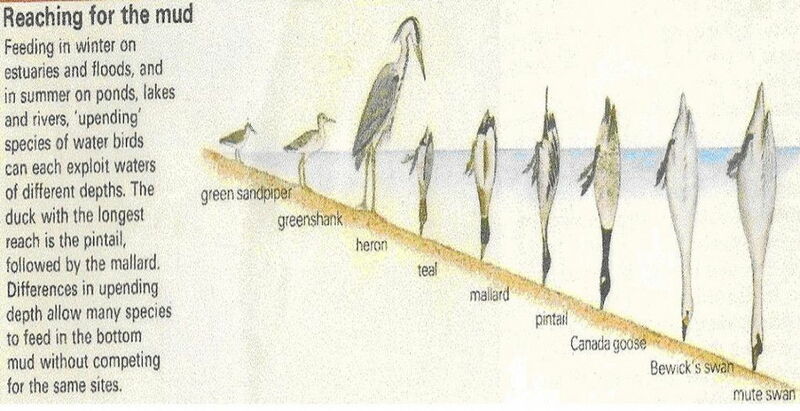 Sandy grit, ranging up to eighths gravel, is ingested whilst the bird is feeding to aid the digestion process. Birds therefore seek out sandy grit material, like that found in the Rattlechain sediment. When food arrives in the gizzard, food is broken down by action of the moving grit between the two halves of the gizzard. This abrasive action, like that of sandpaper can break down even metal objects over time, such as fishing hooks. After swallowing food and any other material, such as toxic white phosphorus, you would expect this material to be stored in the gizzard contents, ready for digestion, just as they would in a person’s stomach. 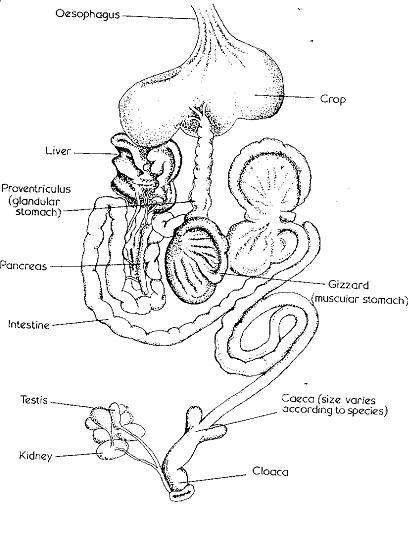 Digestion proceeds as it passes along the intestine and nutrients are absorbed into the blood stream through its lining. Towards the end of the intestinal tract are two ‘side branches’ in many vegetarian birds. These assist with digestion. The intestine terminates in the cloaca, whence the faeces are voided at intervals. 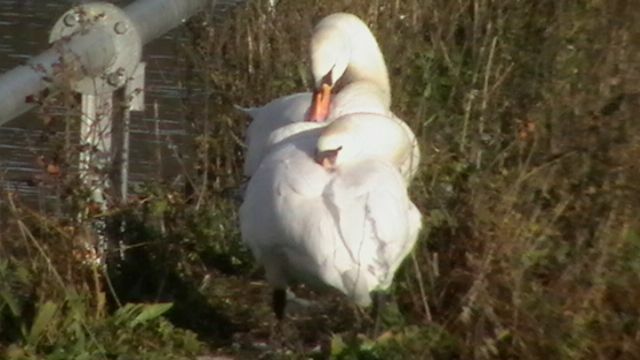 On obtaining information about what chemicals were known to have been deposited in the Rattlechain lagoon historically, swan watch stumbled on a web site concerning white phosphorus poisoning in wildfowl. The Eagle River Flats investigations into wildfowl mortality are probably the world’s most detailed study into the effects of white phosphorus poisoning on waterfowl. The mysterious deaths of wildfowl on this 865-ha tidal salt marsh near Anchorage, Alaska used for artillery training by the U.S army prompted investigations into the sediment and the toxic effects that p4 retains. Birds affected most commonly were mallards, pintails, green-winged teal, and trumpeter and tundra swans. The background to these ground breaking investigations can be found below. Toxicity of white phosphorus to waterfowl: acute exposure in mallards. Sparling, Gustafson, Klein, Karouna-Renier 1997 J.Wildlife diseases 33: 187-197. The clinical signs which birds showed on this site and in the associated laboratory experiments are clearly exhibiting the same patterns of behaviour as those seen ailing at Rattlechain lagoon. The consistency of the white phosphorus in the sediment at Rattlechain is reported to be particulate and may not be in the same form as the incendiary munition ordnance but the chemical remains in situ in low oxidised sediments making feeding for birds impossibly hazardous. Secondary poisoning risks to predators from eating poisoned prey is an obvious concern, and this was also proven to have occurred at Eagle River Flats. The amount of white phosphorus ingested is impossible to calculate in wild animals and birds, unless they are studied in controlled laboratory conditions, as was the case in the Eagle River Flats experiments. When licensed experiments are carried out on research subjects, the Lethal Dose that kills that 50% of the tested population is taken as an important measure of chemical toxicity. This is known as an LD50. With the LD50 in mute swans calculated to be 36.5mg in the Eagle River Flats experiments, this amount can be quantified. 5 mg is roughly the equivalent of a grain of white sugar or salt. With just 7 to 8 granules of white phosphorus being a “lethal” dose for a swan, in a pool known to contain (by Rhodia’s own admission), “tens of tonnes” of white phosphorus, there are undoubtedly many, many needles in this toxic haystack. 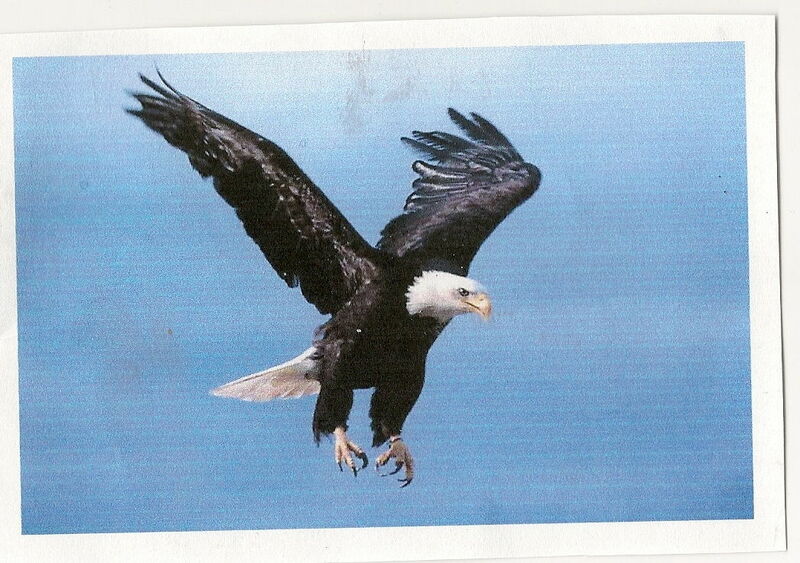 It should be noted that the Eagle River flats experiments took place in controlled laboratory conditions. Birds were deliberately dosed with given quantities of white phosphorus, and deaths were caused by poisoning alone. Where uncontrolled conditions exist, such as at Rattlechain, smaller quantities could cause birds significant harm by causing drowning or allowing easier predation. It would be impossible to know how many particles containing P4, a sediment feeding bird had ingested amongst thousands of tonnes of white phosphorus contaminated material. 3/3/09 Rattlechain Lagoon in front of causeway path and pipe. 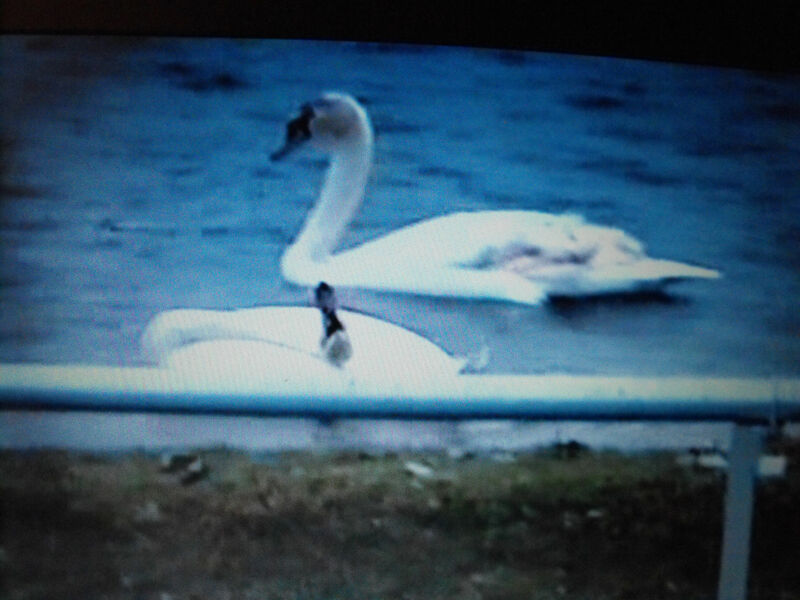 Comparison of swan showing classic latter signs of white phosphorus poisoning,( throwing head back to tip of tail), with juvenile swan behind with upright head and neck. This in coordination on such an open water site will always result in drowning of the bird due to inability to keep head upright and above water, or after beaching attract predators such as foxes. Indeed this bird was pulled from the water whilst convulsing.